Vivid art deco embellishments adorn this glamorous antique room-sized Chinese rug, which embodies the progression of China’s traditional yet cosmopolitan designs. 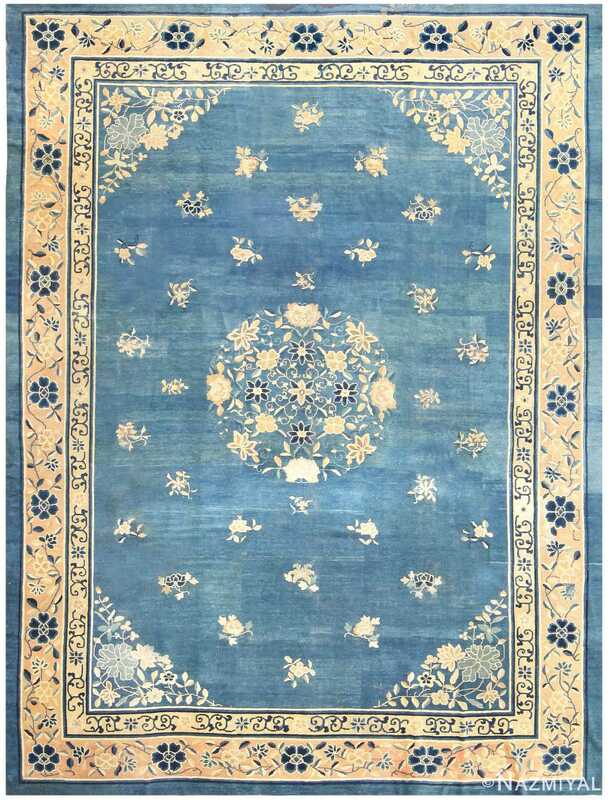 Antique Chinese Rug, Origin: China, Circa: 1920’s – This beauteous antique Chinese carpet showcases a dazzling room-sized composition incorporating vivid art-deco decorations and classical motifs. 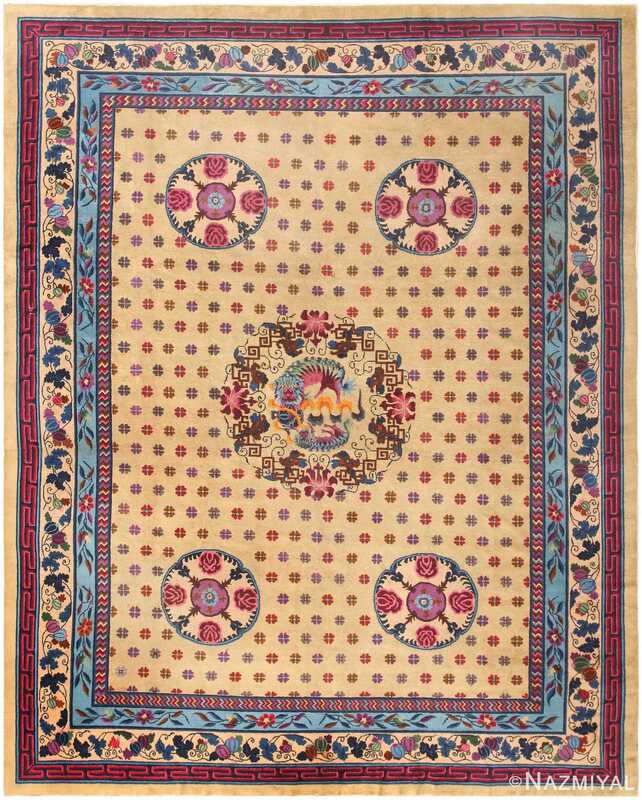 Hyper-saturated jewel-tone colors, traditional designs and exceptional compositional skills are displayed in each facet of this outstanding creation, which reveals the advancement of Chinese designs and displays traditional elements paired with glamorous new details. The result is an elegant, expressive design that has ancient roots and a fresh visage verging on contemporary. 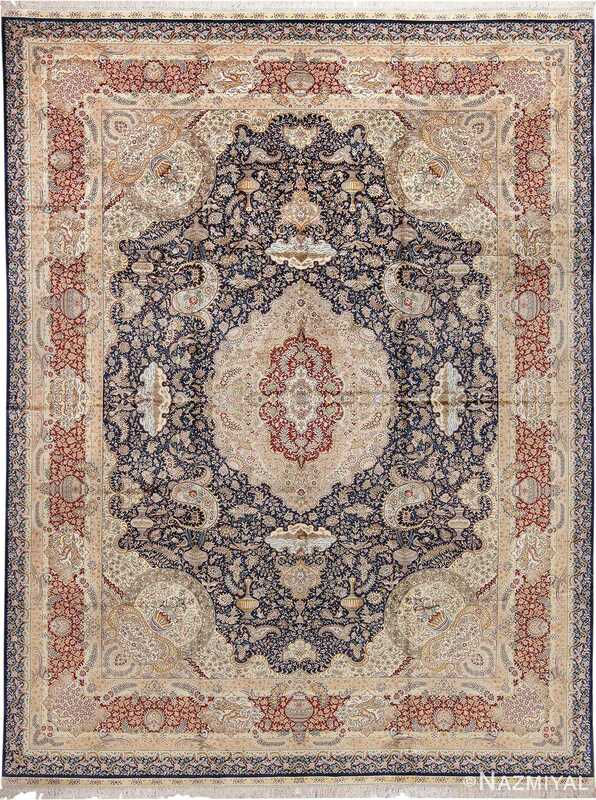 A shower of vivid gem-tone colors is exhibited boldly in the layered four-part borders that depict melon-laden vines, glowing cerise fretwork Ts, polychrome zigzags and fluid botanical decorations that embody classical and contemporary influences. 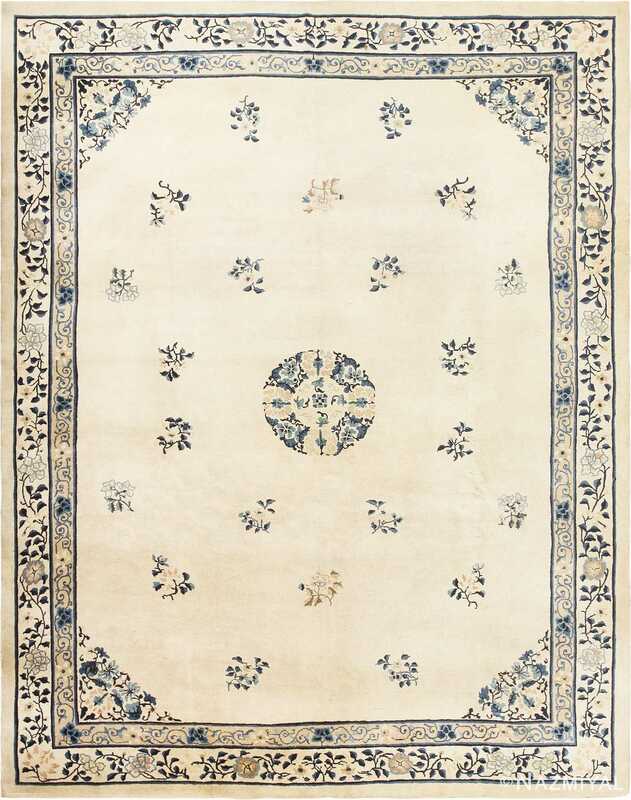 Equally splendid decorations are featured in the opulent manila field, which displays an understated medallion-and-corner design set over a stunning backdrop of repeating florets.